Happy Monday to you all! Here is the tutorial I said I was going to put up. 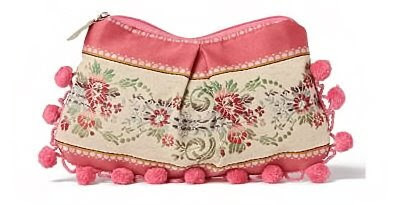 It’s inspired by this clutch at Anthropologie. 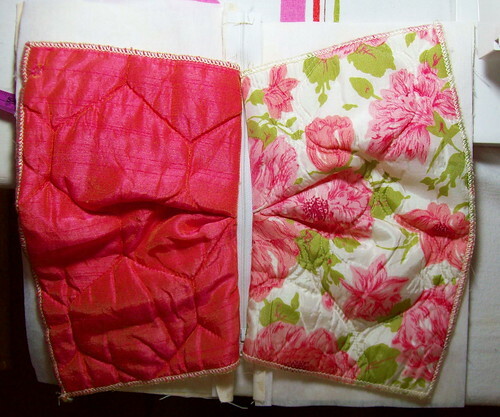 I saw it in an email that I received from them and it reminded me of these vintage quilted fabric samples I had bought off of Ebay forever ago. 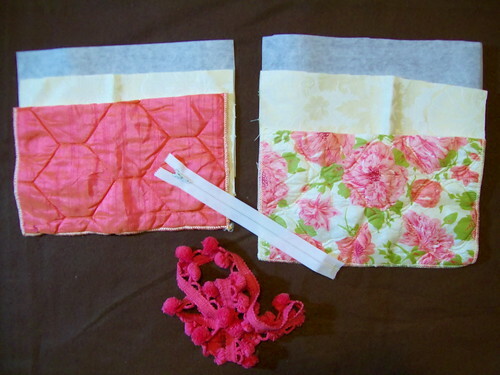 I decided that I was going to make myself one with the fabric samples. Then, I figured, why not just do a tutorial for it? Here we go…..
1. 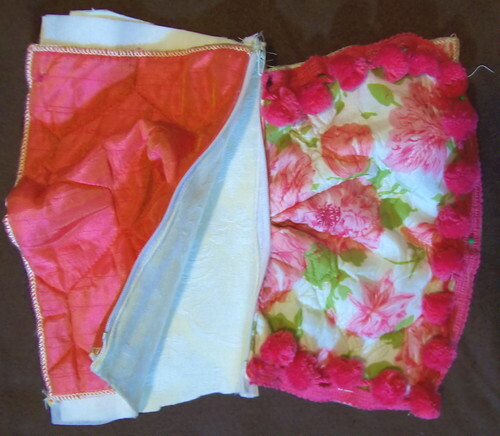 Take the two pieces of exterior fabric and create a center pleat on each. Take the first piece, long way across, and fold in half . 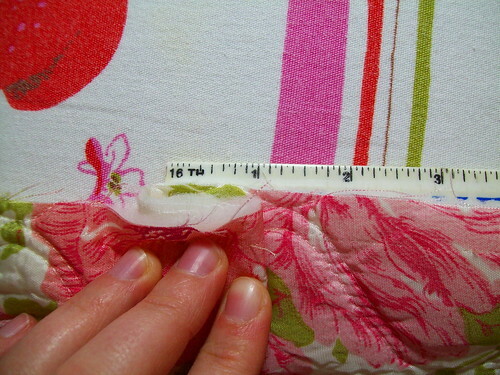 An inch in from the middle crease, take top fabric and fold it back an inch. Then flip over and do the same to the over side of the middle crease. Do the same thing for the other piece of exterior fabric. 2. 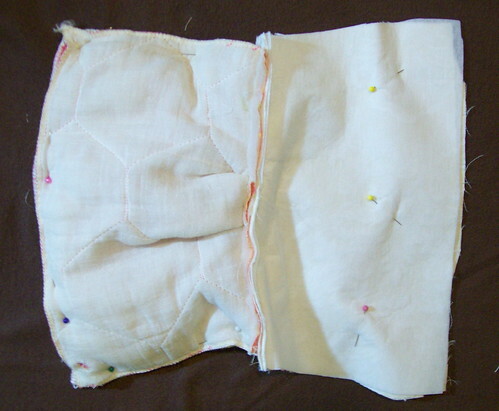 Place zipper face down onto top of piece of exterior fabric. Pin on. 3. 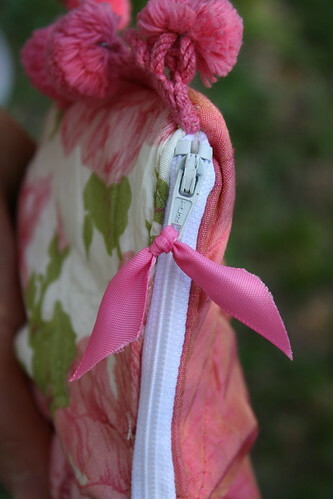 Using a zipper foot, sew it on. Open and iron. 4. 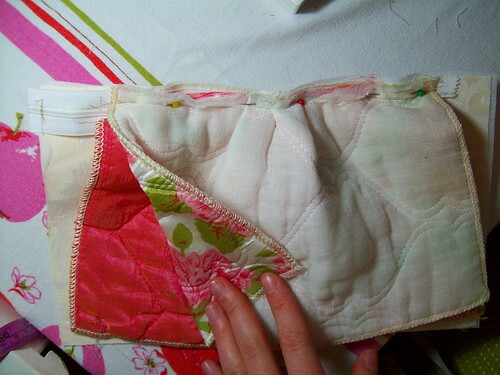 Place the other side of zipper onto other piece of exterior fabric at the top, right sides facing. Pin on. 5. 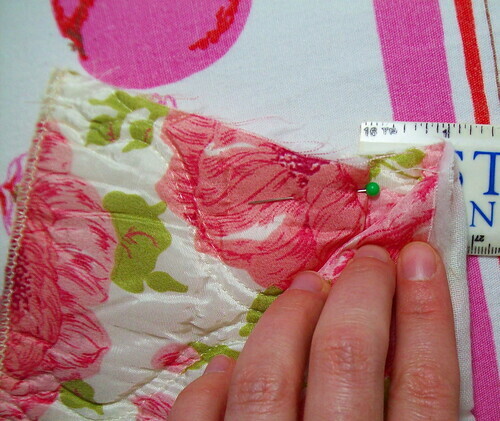 Using a zipper foot, sew it on. Open and iron. 6. 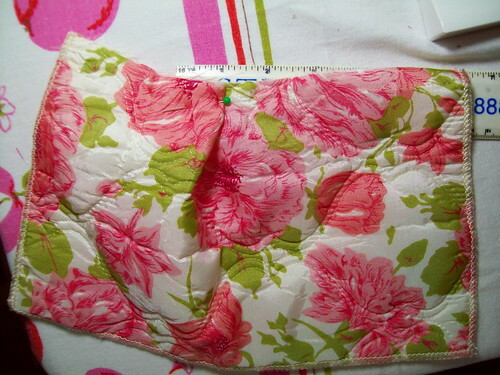 Take a lining piece and place right side up (if using interfacing, it will be underneath the piece of fabric). 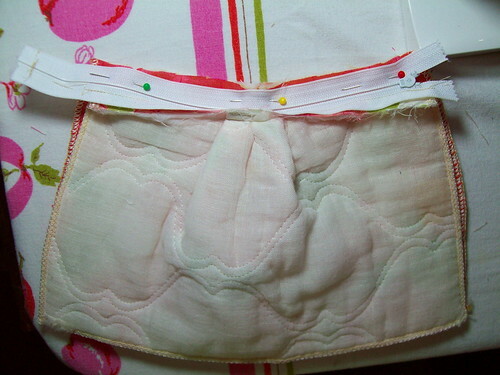 Pin the back side of a zipper side onto it. Pin in place. 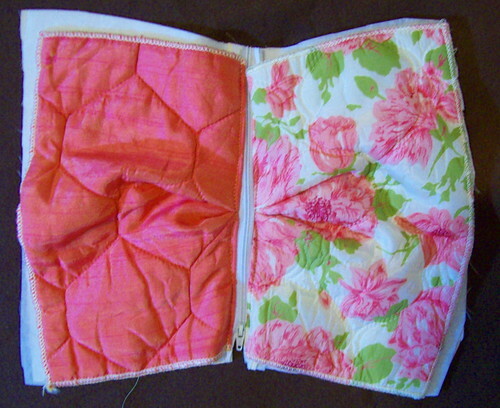 Sew on with zipper foot. 7. 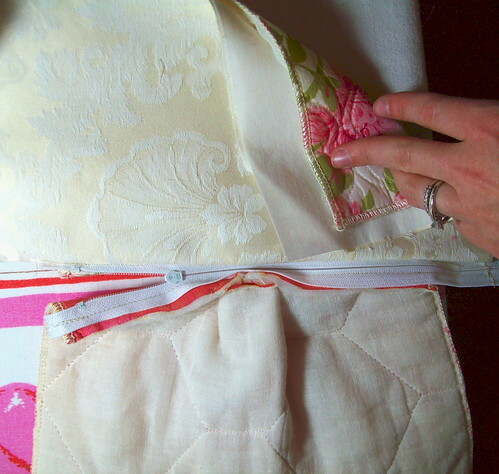 Take the other piece and do the same thing, but sew it onto the other side of the zipper (making sure the right side of the fabric is on the wrong side of the zipper). 8. 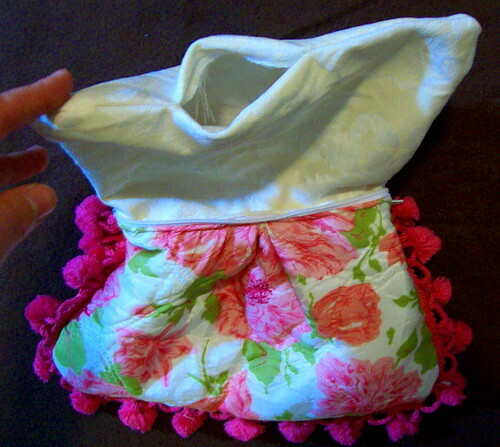 Fold the purse out (Meaning: With the zipper in the middle, have the fabric on one side of the zipper out and the same with the other side. 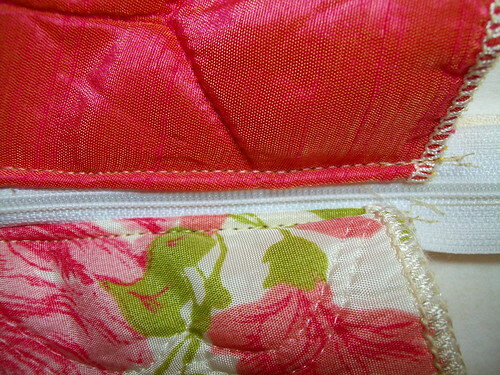 Top stitch with zipper foot across all layers of fabric on each side of the zipper. 9. Unzip the zipper. Pin on pom pom trim to the front side of the outer fabric only. Make sure the pom poms are facing in. Sew on. 10. Zip the zipper back almost half way, then fold the fabric so the interior fabric is facing each other and then the exterior fabric is facing each other. Pin in place. 11. 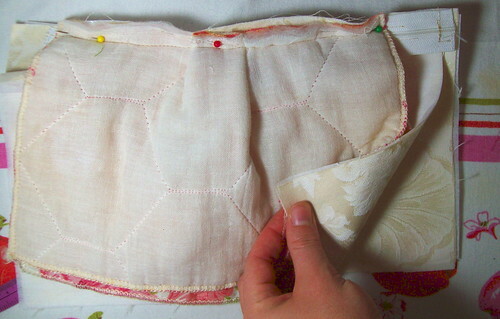 Sew around the purse, with the exception of an opening in the bottom of the interior fabrics. This is where you will turn the purse right side out. 12. 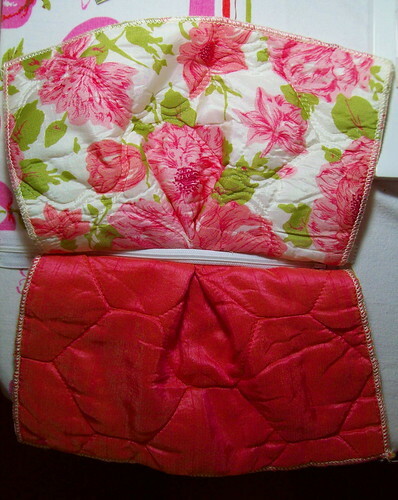 Turn purse right side out and sew the opening shut (I did mine by hand so you couldn’t see the stitching. I have no idea what I did stitchwise, I just did it). 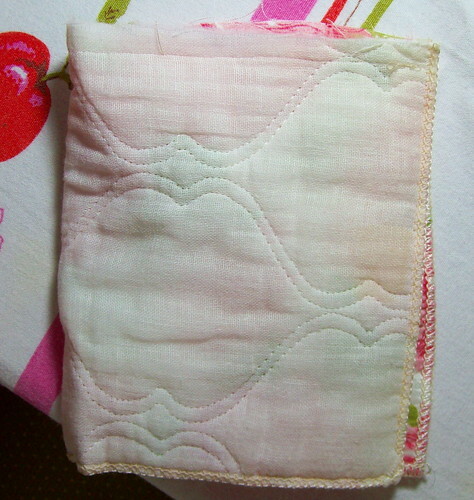 You can machine sew it closed as well. 13. 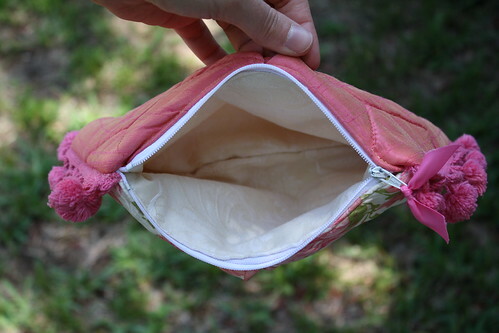 Push the interior fabrics inside the exterior to have the final purse. 14. 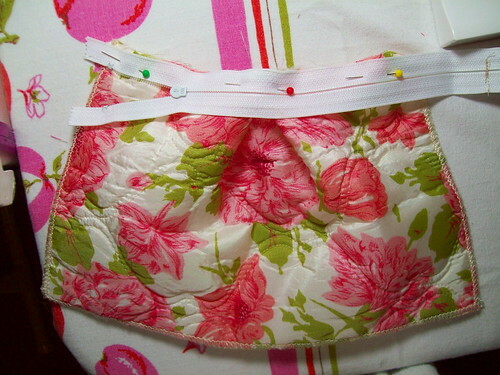 Then take a small piece of ribbon and tie it on the loop of the zipper. That is spectacular…I absolutely love it! Oh my! 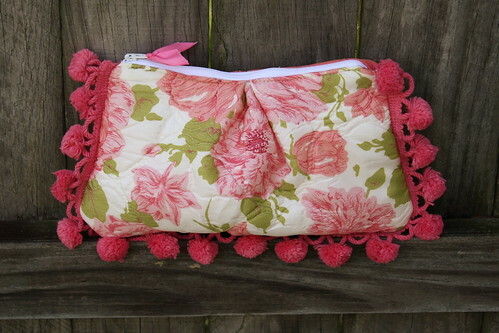 how gorgeous is this clutch! definitely making one for myself. WOW-this is STUNNING! I’m so excited to make this-I can’t wait! I’ll be linking too. Love it!!!!!!!!!!!!! You are really getting the followers now, time to monetize, right? Keep up the great work, my friend! Me and sewing machines do not get along but with your nice tutorial I’m very tempted to give it a go! Such a cute bag & perfect tutorial! Cute little bag and you did a great job of expaining how to make it. I’ll have to link. Cheers. 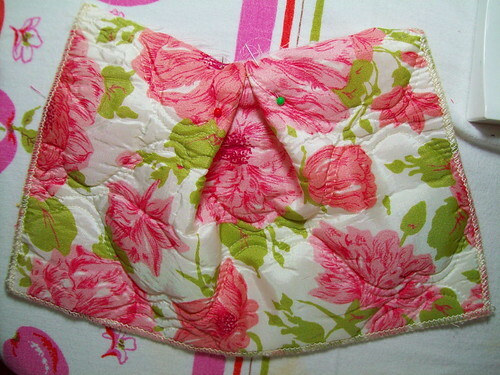 so cute i have a vintage quilted placemat i will have to make one of these with! This absolutely adorable. I’m sure lots of other trims, like tassels, bullion and onion fringe would look great too. great work!!! the bag is so cute! This is Lovely! something nice and pretty to wear! thanks for being so nice and sharing your ideas with the rest of the world! once i have mine done i will sent you a picture of it! 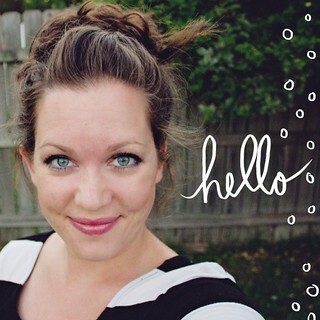 thanks so much….i gotta do this….and i agree, the blouse id badd. Look my blog. I have my clutch.